In a career that spanned much of the twentieth century, Hungarian-born photographer André Kertész (1894-1985) created deceptively simple yet compelling and poetic photographs. This book presents approximately 120 of these striking images as well as previously unpublished archival material that sheds important light on the artist and his work. 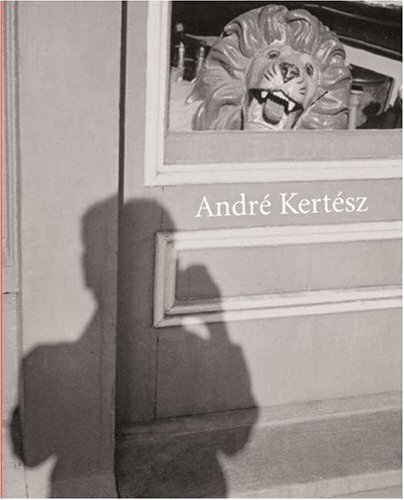 Like the exhibition it accompanies, André Kertész takes us through Kertész's years in Budapest, Paris, and New York. Unlike other works on Kertész, it presents only vintage prints and includes several seldom seen photographs from throughout his career. Written by renowned art historian Sarah Greenough and Kertész Foundation curator Robert Gurbo, André Kertész includes excerpts from the photographer's previously unexamined journals and correspondence-documents that prompted the authors to reexamine every period of Kertész's life and work. They reflect on their findings in essays covering each of the major phases in Kertész's career. While the book includes examples of the artist's most important photographs, including Chez Mondrian, The Satiric Dancer, and The Eiffel Tower, it also focuses on the intensely autobiographical nature of his work. It elegantly demonstrates the ways in which Kertész injected his persona, both literally and metaphorically, into his work. Accompanying the book's essays and exquisite tritone reproductions of his photographs are an illustrated chronology that corrects many previous errors, a comprehensive bibliography, and selections of previously unpublished writings by the photographer. Hungarian photographer André Kertész eventually became famous for his wryly poetic images of everyday life. But achieving that distinction was a long slog, and Kertész--who emigrated to Paris in 1925 and New York in 1936--struggled for decades in near-obscurity and despair. Andre Kertész traces the artist's career with an engaging text and 250 exquisitely reproduced black-and-white photographs that span his long career. Throughout, he used his camera to create a visual diary of his life—haunting images suffused with a loner's sensibility. As a young man imbued with the romantic ideals of Hungarian nationalism, he photographed his handsome brother Jeno as Icarus, his exultant body silhouetted against the sky. Unable to find work after returning from the battlefields of World War I, Kertész tried his luck in Paris. It was the best move of his life. The City of Light was hungry for photographers to fill the new illustrated magazines. Avant-garde painters and sculptors opened up a new world of experimentation that prompted Kertész to photograph a series of female nudes seen in a funhouse mirror. And the new, lightweight Leica camera enabled him to snap scenes on the sly—a bum inspecting his toes on the banks of the Seine or a legless flower seller trying to tempt a passerby.